Deborah Bachrach uses her significant experience with both public- and private-sector health policy and financing to help states, providers, insurers and foundations analyze and implement the Affordable Care Act. She also counsels clients on Medicaid coverage, payment policies, delivery systems and other healthcare reforms. 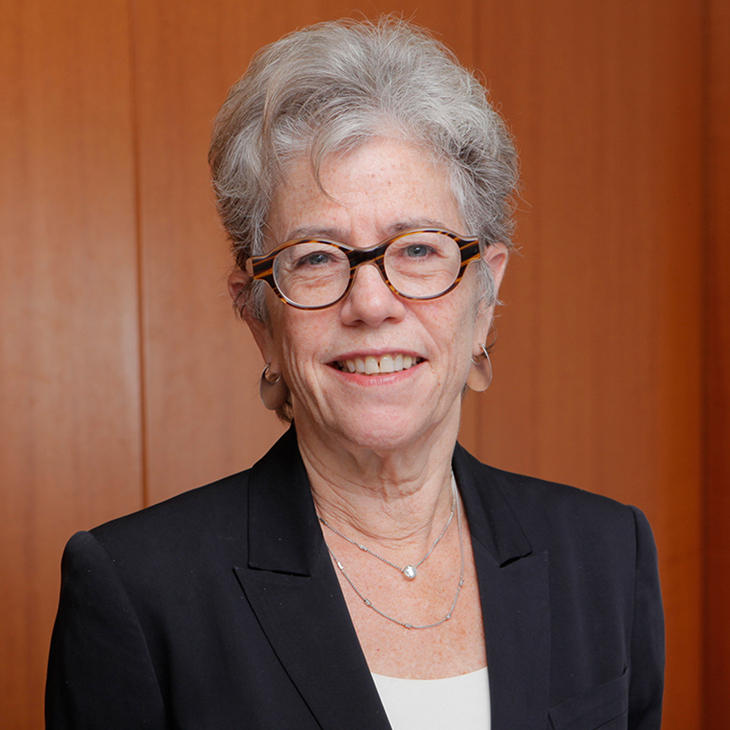 Before rejoining Manatt, Deborah served as Medicaid director and deputy commissioner of health for the New York State Department of Health’s Office of Health Insurance Programs, where she managed coverage, care and payment policies for more than four million children and adults enrolled in the state's Medicaid and Child Health Insurance programs. She led reforms to streamline Medicaid’s eligibility and enrollment process, and improve its purchasing strategies. Deborah has advised the Center for Health Care Strategies, the Medicaid and CHIP Payment and Access Commission, the Robert Wood Johnson Foundation, and the Kaiser Family Foundation. Before working with the state of New York, as a Manatt partner Deborah provided legislative, regulatory and strategic counsel to academic medical centers, safety net hospitals, community health centers, health plans and other healthcare companies. Deborah has also worked as vice president, external affairs, at St. Luke's–Roosevelt Hospital Center; as New York State chief assistant attorney general; and as chief of the Office of the New York State Attorney General’s Civil Rights Bureau. Deborah was an adjunct professor of law at the New York University School of Law, where she taught a seminar on federal health reform from 2011 to 2013. Moderator, “The Future of Behavioral Health Integration in the Medicaid Program” panel, National Association of Medicaid Directors Fall Conference, Washington, D.C., Nov. 14, 2018. Speaker, “Examining the Public Charge Proposed Rule,” Robert Wood Johnson Foundation State Health & Value Strategies, Webinar, October 1, 2018. Speaker, “Explaining the Stewart v. Azar Decision and Implications for States,” Robert Wood Johnson Foundation State Health and Value Strategies, Webinar, July 24, 2018. Speaker, “State Strategies for Supporting Sustainable Investments in Social Interventions: Emerging Tools and Tactics in Medicaid Managed Care,” The Commonwealth Fund, Webinar, April 9, 2018. Speaker, “New Work and Community Engagement Requirements: Overview of Federal Activity and State Considerations,” Robert Wood Johnson Foundation, Webinar, January 18, 2018. “State Options for Responding to Federal Changes to the Individual Market,” Robert Wood Johnson Foundation Webinar, January 4, 2018. “The Primary Care Agenda in the New Administration,” Primary Care Development Corporation Annual Summit, New York, NY, January 31, 2017. “Leveraging Medicaid Managed Care Contracts to Advance Physical and Behavioral Health Integration,” Milbank Memorial Fund Reforming States Group Convening on Behavioral Health Integration, January 27, 2017. “Leveraging Medicaid to Address Social Determinants of Health,” Alliance for Health/CMWF Reform Lunch, Washington, D.C., September 23, 2016. “Medicaid Expansion’s Early Returns,” Grantmakers in Health CEO Working Group on Access and Coverage, March 9, 2016. "Medicaid DSRIP Programs: Where do Medicaid Managed Care Plans Fit?," Association for Community Affiliated Plans, June 15, 2015. "Drug Coverage Under the ACA," FDA/CMS Summit for Biopharma Executives, Washington, D.C., December 11-12, 2014. "2017 Innovation Waivers: The Future Is Right Around the Corner," State Coverage Initiatives and State Health Reform Assistance Network webinar, December 4, 2014. "Realizing Behavioral Health Integration in Medicaid," National Association of Medicaid Directors Fall Conference, Arlington, VA, November 4-5, 2014. "Integration of Physical Health, Behavioral Health, and Long-Term Services," National Academy for State Health Policy (NASHP) 27th Annual State Health Policy Conference, Atlanta, GA, October 6-8, 2014. "Medicaid Transformation," National Medicaid Transformation and Provider Collaboration Web Summit, September 19, 2014. "Transforming Medicaid: Lessons from Pioneering States," National Conference of State Legislatures (NCSL) Legislative Summit, Minneapolis, MN, August 20, 2014. "DRGs at Age 30: Looking Back, Looking Forward," DRG Symposium, Arlington, VA, June 12, 2014. "Medicaid's Growing Role in Healthcare – State Decisions and Hospital Implications," 15th Annual Non-Profit Healthcare Investor Conference, New York, NY, May 22, 2014. "Medicaid Exchange Churn" and "Medicaid/Exchange Interaction and Marketplace Convergence," Second National Insurance Exchange Summit, Washington, DC, May 14-16, 2014. "The Role of States in Transforming Their Health Systems," National Governors Association, Washington, DC, January 14-15, 2014. "The Purchasing Power of Medicaid as an Insurer: A Foundational Training for State/CMS Staff," Center for Health Care Strategies web seminar, March 18, 2013. "Examining the Dual Eligibles Landscape," America's Health Insurance Plans (AHIP) Dual Eligibles Summit, Washington, DC, March 12, 2013. "Interactions between Medicaid, CHIP and the Exchanges: Plan Participation," Medicaid and CHIP Payment and Access Commission (MACPAC) Meeting, Washington, DC, January 15, 2013. "Medicaid Expansion Briefing: What's at Stake for States?" The Alliance for Health Reform and the Kaiser Family Foundation, Washington, D.C., November 30, 2012. "Health Care: Next Steps after the SCOTUS Decision," National Governors Association, Washington, DC, July 2012. "Insurance Exchange Panel: National Health CO-OP Conference," National Alliance of State Health Cooperatives, March 2012. "Federally Facilitated Exchanges and the Continuum of State Options," Robert Wood Johnson Foundation, January 2012. Named Best Lawyers® 2014–15 New York City Health Care Law "Lawyer of the Year"
Author, “Work Requirements Litigation,” Robert Wood Johnson Foundation’s State Health and Value Strategies program, April 5, 2019. Co-author, “Monitoring and Evaluating Work and Community Engagement Requirements in Medicaid: Data Assets, Infrastructure and Other Considerations for States,” Robert Wood Johnson Foundation, February 2019. Co-author, “Alabama Medicaid Expansion: Summary of Estimated Costs and Savings,” Alabama Hospital Association, February 2019. Co-author, “State Strategies for Establishing Connections to Healthcare for Justice-Involved Populations: The Central Role of Medicaid,” The Commonwealth Fund, January 11, 2019. Co-author, “Work and Community Engagement Requirements in Medicaid: State Implementation Requirements and Considerations,” Robert Wood Johnson Foundation, August 2018. Co-author, “Medicaid Expansion: How It Affects Montana’s State Budget, Economy, and Residents,” Montana Healthcare Foundation, June 2018. Co-author, “Medicaid Work Requirements: Policy and Practical Considerations,” American Hospital Association, June 2018. Co-author, “Medicaid: The Linchpin in State Strategies to Prevent and Address Opioid Use Disorders,” Robert Wood Johnson Foundation’s State Health and Value Strategies program, March 2018. Co-author, “Enabling Sustainable Investment in Social Interventions: A Review of Medicaid Managed Care Rate-Setting Tools,” The Commonwealth Foundation, January 2018. Co-author, “Communities in Crisis: Local Responses to Behavioral Health Challenges,” Robert Wood Johnson Foundation, October 2017. Co-author, “Repeal and Replace: Overview of Graham-Cassidy's Market-based Health Care Allotment,” Robert Wood Johnson Foundation, August 2017. Co-author, “Impact on Montana of Medicaid Provisions in the BCRA (June 26 Discussion Draft): Preliminary Analysis,” Montana Healthcare Foundation, June 2017. Co-author, “The AHCA and Montana: Impact of Proposed Per Capita Caps and Medicaid Financing,” Montana Healthcare Foundation, June 2017. Co-author, “How Arizona Medicaid Accelerated the Integration of Physical and Behavioral Health Services,” The Commonwealth Fund, May 2017. Co-author, “Medicaid's Role in the Delivery and Payment of Substance Use Disorder Services in Montana,” Montana Healthcare Foundation, March 2017. Co-author, “Repealing the Medicaid Expansion: Implications for Montana,” Montana Healthcare Foundation, March 2017. Co-author, “Capped Federal Medicaid Funding: Implications for Texas,” Texas Alliance for Health Care, February 2017. Co-author, “Medicaid at a Crossroads: What at Stake for the Nation’s Largest Health Insurer,” Robert Wood Johnson Foundation’s State Health Reform Assistance Network, February 2017. Co-author, “Building the Coverage Continuum: The Role of State Medicaid Directors and Insurance Commissioners,” The Commonwealth Fund, February 2017. Co-author, “Capping Federal Medicaid Funding: Key Financing Issues for States,” Robert Wood Johnson Foundation State Health Reform Assistance Network, December 2016. Co-author, “Repeal of the ACA Medicaid Expansion: Critical Questions for States,” Robert Wood Johnson Foundation, December 2016. Co-author, “Integrating Medicaid Supplemental Payments into Value-Based Purchasing,” The Commonwealth Fund, November 2016. Co-author, “Medicaid Coverage of Social Interventions: A Road Map for States,” Milbank Memorial Fund, July 2016. Co-author, “Medicaid: States’ Most Powerful Tool to Combat the Opioid Crisis,” The Robert Wood Johnson Foundation, State Health Reform Assistance Network, July 1, 2016. Co-author, “Estimated State Budget Impact of an Oklahoma SoonerCare Expansion,” Oklahoma Hospital Association, April 2016. Co-author, “Emerging Issues in Medicaid Payment and Delivery Reform: Observations from New York’s DSRIP Implementation,” The Commonwealth Fund, April 2016. Co-author, “Provider Donations and Assessments: Options for Funding State Costs of Medicaid Expansion,” Robert Wood Johnson Foundation State Health Reform Assistance Network, March 2016. Co-author, “Medicaid and the Indian Health Service: New Guidance Explains How States May Secure Additional Federal Funds,” Robert Wood Johnson Foundation State Health Reform Assistance Network, March 2016. Co-author, “States Expanding Medicaid See Significant Budget Savings and Revenue Gains,” Robert Wood Johnson Foundation State Health Reform Assistance Network, March 2016. Co-author, “Impact of Medicaid Expansion on the Kansas State Budget,” Kansas Grantmakers in Health, December 2015. Co-author, "Medicaid Expansion and Criminal Justice Costs: Pre-Expansion Studies and Emerging Practices Point Toward Opportunities for States," Robert Wood Johnson Foundation's State Health Reform Assistance Network, November 3, 2015. Co-author, "In or Out: An Examination of Medicaid's Coverage Determination Policies," California HealthCare Foundation, August 2015. Co-author, "Medicaid at 50: A Blog Series on the Program's Evolution and Future," The Commonwealth Fund, July 2015. Co-author, "The Impact of Medicaid Expansion on Uncompensated Care Costs: Early Results and Policy Implications for States," Robert Wood Johnson Foundation's State Health Reform Assistance Network, June 2015. Co-author, "Coverage Options for Massachusetts: Leveraging the Affordable Care Act," Blue Cross Blue Shield of Massachusetts Foundation, May 2015. Co-author, "Estimated State Budget Impact of a MaineCare Expansion in 2016," Maine Health Access Foundation, April 2015. Co-author, "Building a Culture of Health: The Value Proposition of Retail Clinics," Robert Wood Johnson Foundation, April 2015. Co-author, "Innovation Waivers: An Opportunity for States to Pursue Their Own Brand of Health Reform," The Commonwealth Fund and the Robert Wood Johnson Foundation State Health Reform Assistance Network, April 2015. "King v. Burwell: What a Subsidy Shutdown Could Mean for…Consumers, Insurers, Health Care Providers and States," Series of four articles prepared for The Commonwealth Fund blog, February 24-27, 2015. Co-author, "Medicaid Managed Care: What's Ahead in 2015," Bloomberg BNA's Health Care Policy Report, February 23, 2015. Co-author, "State Strategies for Integrating Physical and Behavioral Health Services in a Changing Medicaid Environment," The Commonwealth Fund, August 2014. Co-author, "Arkansas: A Leading Laboratory for Health Care Payment and Delivery System Reform," The Commonwealth Fund, August 2014. Co-author, "Coverage and Delivery of Adult Substance Abuse Services in Medicaid Managed Care," Medicaid Managed Care Information Resource Center, Centers for Medicare & Medicaid Services (CMS), May 2014. Co-author, "Addressing Patients' Social Needs: An Emerging Business Case for Provider Investment," The Commonwealth Fund, Skoll Foundation and Pershing Square Foundation, May 2014. Co-author, "High-Performance Health Care for Vulnerable Populations: A Policy Framework for Promoting Accountable Care in Medicaid," The Commonwealth Fund, November 2012. Co-author, "Reasonable Compatibility Straw Models: Federal Requirements and State Options for Constructing a State's Financial Reasonable Compatibility Standard," Robert Wood Johnson Foundation's State Health Reform Assistance Network, August 2012. Co-author, "Healthcare reform is a good deal for states," The Hill, August 8, 2012. Co-author, "Designing Medicaid Benchmark Benefits for New Adult Beneficiaries," BNA Health Care Policy Report, March 2012. Co-author, "Toward a High Performance Health Care System for Vulnerable Populations: Funding for Safety-Net Hospitals," Commonwealth Fund Commission on a High Performance Health System, March 2012. Co-author, "The Role of the Basic Health Program in the Coverage Continuum: Opportunities, Risks, and Considerations for States," The Kaiser Family Foundation, March 2012. Co-author, "Federally Facilitated Exchanges and the Continuum ofState Options," National Academy of Social Insurance, December 2011. Co-author, "Medicaid Managed Care: How States' Experience Can Inform Exchange Qualified Health Plan Standards," Center for Health Care Strategies, October 2011. Co-author, "CMS Proposed Rule on Health Benefit Exchange Implementation," BNA Health Insurance Report, August 2011. Co-author, "Implementing Health Homes in a Risk-Based Medicaid Managed Care Delivery System,"Center for Health Care Strategies, June 2011. Co-author, "Considerations for the Development of Accountable Care Organizations in New York State," New York State Health Foundation, June 2011. Co-author, "Medicaid's Role in the Health Benefit Exchange: A Road Map for States," National Academy for State Health Policy, March 2011. The Trump administration (the Administration) has called for a reduction in drug spending.